Our marine foghorns are designed for a harsh environment and together with the control panel design we create a reliable solution. The foghorns provide a sound output in line with the IALA recommendations and enables you to warn vessels of the navigational hazard, presented by your structure during low visibility conditions. 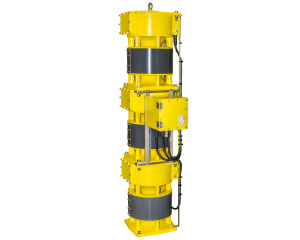 Because the environment in which you operate can be a gas hazardous one, our marine foghorns are explosion proof and designed to provide two nautical miles’ omnidirectional coverage in line with the IALA recommendations. Depending on local regulations or client specifications they can be supplied as a combined main/secondary (2/0.5 NM) foghorn, together with duplicated controls in the Navaid Central Control Panel (NCCP). Why do you need a foghorn? A foghorn signal must be activated whenever the meteorological visibility in any direction is two nautical miles or less. In the UK, main/secondary foghorns are required to meet the UK Department of Energy and Climate Change – standard marking schedule for offshore installations regulations. Orga’s FH800(3)EX complies with this requirement. The sound character emitted by the main foghorn is a Morse code ‘U’ every 30 seconds, and this is controlled by the Orga Navaids Central Control Panel (NCCP). The effective range of the main foghorn is at least two nautical miles (134dB(A) at 1 metre), with the secondary one being at least 0.5 nautical miles in any direction, complemented by an excellent 360-degree horizontal sound divergence. Orga’s foghorn complies with a range of European and US regulations. Why choose Orga’s marine foghorns? Thanks to our use of smart technology, Orga has integrated the main and secondary foghorn into one marine foghorn. 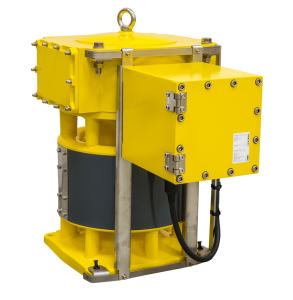 Our device has a double power source to meet redundancy requirements and is suitable for zones 1 and 2 gas explosion hazard areas (ATEX & IECEx certified). Because the light-alloy body of our foghorn is specially provided with a seawater-resistant coating, it can optimally cope with the unforgiving environment in which you operate. The stainless steel diaphragm ensures long-term performance and stability. The foghorn signal should be capable of operating continuously at full power from a UPS supply, which will activate in the event of mains power failure. High reliability and low cost of ownership make our nautical foghorns your safest and most cost-effective solution, no matter where you are located in the world.